Diagnosis begins with a complete history and physical exam. Your doctor will ask questions about your symptoms and how your problem is affecting your daily activities. Your doctor will also want to know what positions or activities make your symptoms worse or better. Then the doctor does a physical examination by checking your posture and the amount of movement in your low back. Your doctor checks to see which back movements cause pain or other symptoms. Your skin sensation, muscle strength, and reflexes are also tested. If symptoms continue to limit a person's ability to function normally, the doctor may suggest an epidural steroid injection (ESI). Steroids are powerful anti-inflammatories, meaning they help reduce pain and swelling. 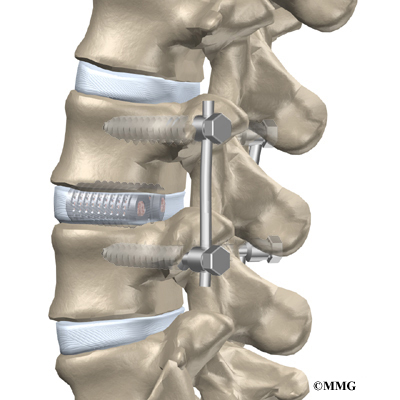 In an ESI, medication is injected into the space around the lumbar nerve roots. This area is called the epidural space. Some doctors inject only a steroid. Most doctors, however, combine a steroid with a long-lasting numbing medication. Generally, an ESI is given only when other treatments aren't working. But ESIs are not always successful in relieving pain. If they do work, they often only provide temporary relief. In addition, patients often work with a physical therapist. After evaluating a patient's condition, the therapist can assign positions and exercises to ease symptoms. The therapist can design an exercise program to improve flexibility of tight muscles, to strengthen the back and abdominal muscles, and to help a patient move safely and with less pain. Your doctor may recommend that you work with a physical therapist a few times each week for four to six weeks. In some cases, patients may need a few additional weeks of care. The first goal of treatment is to control symptoms. Your therapist will work with you to find positions and movements that ease pain. The therapist may use heat, cold, ultrasound, and electrical stimulation to calm pain and muscle spasm. The therapist may perform hands-on treatments such as massage and specialized forms of soft-tissue mobilization. These can help a patient begin moving with less pain and greater ease. 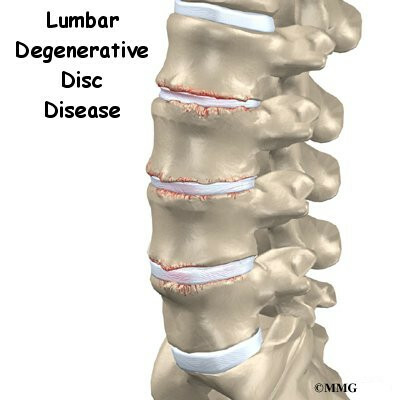 Spinal manipulation provides short-term relief of degenerative disc symptoms. Commonly thought of as an adjustment, spinal manipulation helps reset the sensitivity of the spinal nerves and muscles, easing pain and improving mobility. It involves a high-impulse stretch of the spinal joints and is characterized by the sound of popping as the stretch is done. It doesn't provide effective long-term help when used routinely for chronic conditions.